I have a confession to make: I've never owned a poncho. Until now. And I think I'm officially obsessed. Not only is this quite literally the SOFTEST piece of clothing I currently own (check out the 2nd shot down, which shows the texture in all of its glory), but how cool is this print? Perfect to throw over basic jeans and a tank to meet up with Micol for an early happy hour on a crisp--but not too cold--Fall day. I am equally obsessed!!!! The colors, the print, the fabric - it's plain and simple. That poncho is the bomb. Oh, I agree, that is a perfect poncho. OOO love the poncho! The colors and stripes are perfect. I love that poncho!! It's so beautiful. might be my favorite outfit ever. i have only purchased skinny jeans for the last two years. and now i NEED more flares! LOVE this whole outfit....seriously. and i don't own a poncho but yep...it's on the list now too. =) gorgeous girl! GORGEOUS poncho! looking fab girl! the poncho is so pretty! i love the whole outfit! I am loving this outfit! The poncho look so comfy and great on you. Also these photos are beautiful. Love this look! and awesome photography! You look amazing Lauren! I don't own a poncho either but maybe I should?! Love the pictures too! 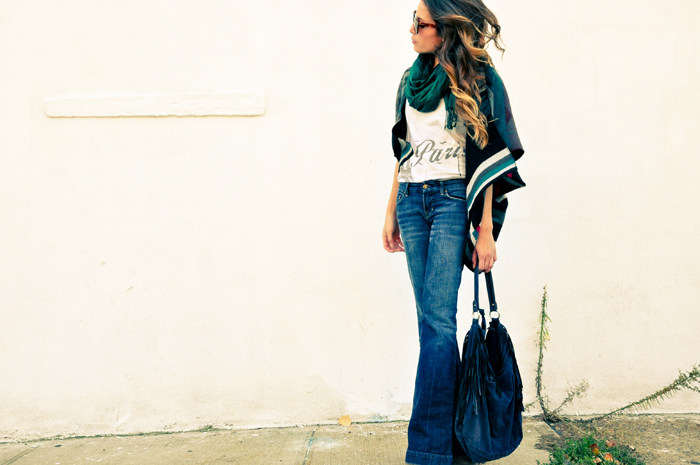 Love the look and love that poncho! Great look! Love your hair as well! Love the poncho on you! Seriously perfect! It's a good obsession to have! Great pictures. I love the outfit, especially the poncho and the bag. your hair is absolutely gorgeous! you look effortlessly chic! LOVE that poncho it is so cute! Love this! I totally had those jeans forever ago, love them! That poncho is awesome. You look beautiful! I'm loving that poncho...perfect colors, too! That is such a nice poncho, stylish and versatile ones are so hard to find these days! Such a cute poncho! Looks so comfy! 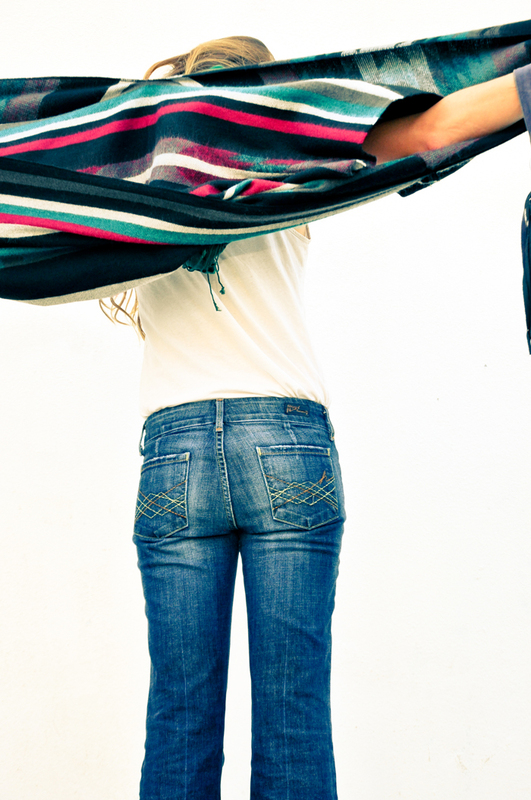 Loving your jeans as well! 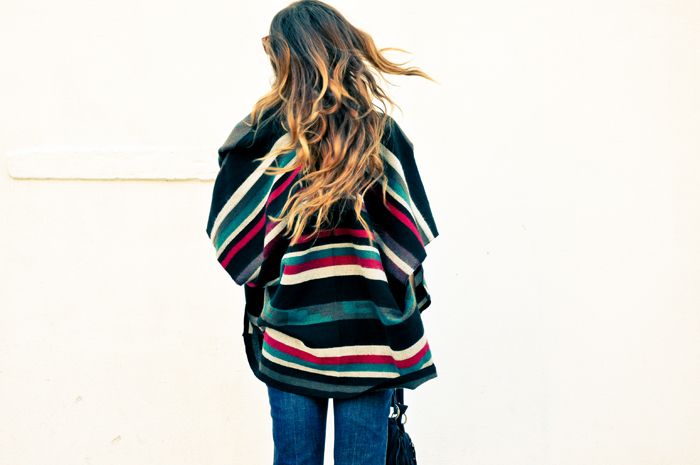 Awesome poncho – I'm thinking I'm gonna need one to cozy up in for fall. I adore the simplicity of the look, the poncho with the flared demin is a lovely combo! Wow, I am in awe of this outfit! 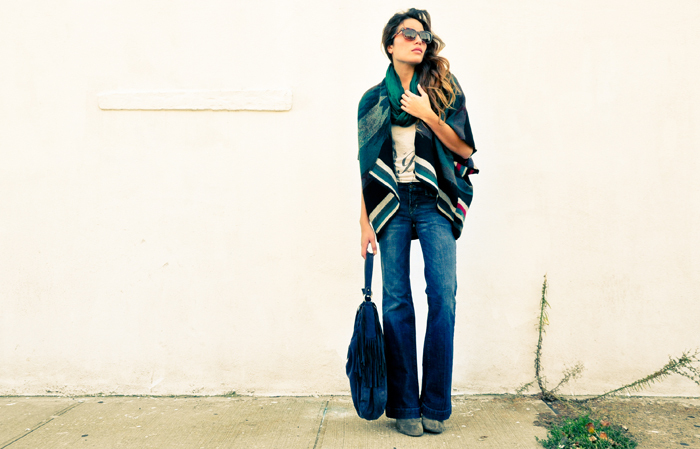 Your poncho is so gorgeous with its rich colors and texture, and it looks perfect with long flared jeans. AMAZING. That poncho is fabulous! The color is great, love how you paired it with the flair jeans for a 70s look.